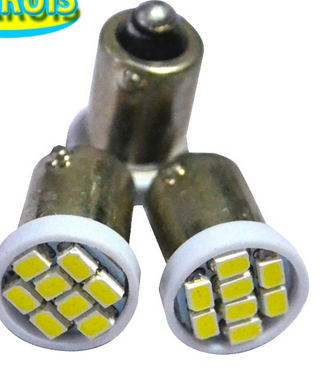 I have red many articles in led topics but not with the installation process. The problem with i faced that casual bulbs are working in the bayonet socket but i am suffering to install led to the same socket. I thought first may i am buying a scrap but it seems to be all led type are not so robust as the old bayonet lamps. Perhaps the sockets are also not perfect but the old lamp still working so i did not thought to replace them. Is there a special tool for leds? How are you installing and testing them? You can use a shooter tip rubber to get a better grip on the bulb. Works great! ^ Otherwise grip the bulb closer to the base. I do find that cheaper bayonettes crack more easily than something like comet brand. Depending on the game you can install the bulb from under the playfield by taking off one of the screws that hold the socket in place. I sand down the positive solder point of the led. Especially in the older games I have to do this. There is a tool, I forget if I got it from Comet or Marco. I don't think it is a tool issue. It's more that the lens isn't glued down enough and comes loose and spins. If I'm reading the OPs post correctly. If that is the case, then I don't know what to say, it happens occasionally to me too. But, only a couple in a hundred bulbs, so I toss them out and move on. I guess you could put a little supper glue on them to help lock the lens in place..? Yes I use comet. 1 in 100-200 breaks. I just move on. Yes i think the problem is that they are not glued down enough and spins. With the hand i can grab only the plastik rounded surface. I wanted to install them to F-14 Tomcat (red and blue) only for the upper part of the playfield. As mentioned above, gently sand down the nub of solder on the bottom of the bulb. Just a little at a time until it seats snugly into the socket. I find that a frosted dome gives a much more even light, especially when used in playfield inserts and DEFINITELY when used in a behind a backglass. The upside is that you have a nice domed surface to grip the bulb to insert or remove it. I cant really think of anywhere I'd prefer to use a flat-top LED, maybe somewhere there is a weird clearance issue or something? flat leds work well in small inserts. Good point. I don't run into those too often. The arrows on TAXI would be a good example. They have their applications, but for the most part not worth buying separately unless you're buying bulk of both which would work.